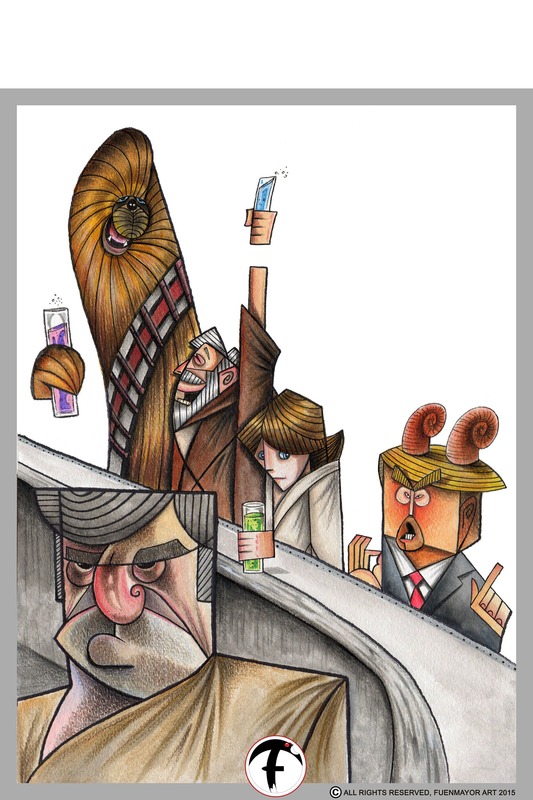 A Cantina Star Wars Scene tribute, drawn in a different and Original style by artist Carlos Fuenmayor. Upon Acceptance of payment, item will be shipped within 3-5 business days on a mailing tube. Will be shipped via USPS First Class Mail. See shop policy for more info.